The American Embassy personnel in Haiti are still under an order to take shelter and remain in place. 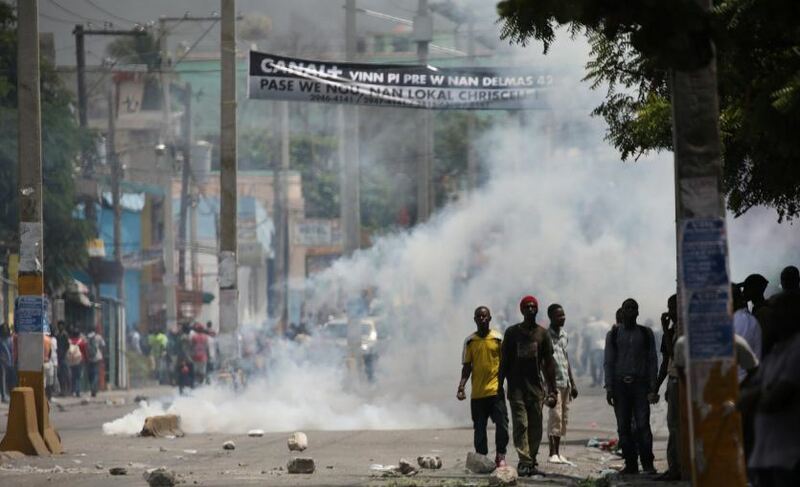 They have been instructed: “Do not attempt to travel at this time.” Riots began on Friday in Haiti and have continued for three days when the government, instructed by the IMF to reduce government subsidies for fuel, resulting in a rise in prices on gasoline, diesel, and kerosene. The prices virtually doubled. While Haitian officials said they would increase social services spending and improve infrastructure, they are also directed to enforce collecting taxes. The IMF has directed many countries to engage in the hunt for taxes because deficits are rising. There is no long-term solution here for a simple exercise of math demonstrates that as increases rise, the interest rate cost of rolling the debt will crowd out all other spending forcing taxes to rise exponentially over the next decade. The civil unrest has turned to set up flaming roadblocks, bringing travel around the city to an absolute halt, and looters are raiding stores and supermarkets just taking everything they can carry. Others have targeted hotels and businesses to just rob whatever they can find. Haiti is not unaccustomed to such riots. They tore the capital apart just back in September 2017 over politics. There were riots over food back in 2008 and were even attacking UN personnel. Karl Marx’s Grave Vandalized – Is this the Cyclical Turning Point from the 1848 Revolutions?